Healthcare workers are overworked. Research dating back over 15 years to the Bureau of Labor Statistics’ review of hospital industry employees’ hours as of June 2018 consistently show healthcare workers working high overtime hours. Their work environment is also high-pressure and chaotic, which places a heavy burden on healthcare providers to ensure their staff receive the meal and break time to which they’re entitled. Healthcare compliance with meal and break laws is particularly challenging in California, which has numerous requirements but also numerous options for employees to waive certain meal and break rights. Nurses and healthcare workers are often now working 10 to 12 hours shifts, rather than the traditional eight-hour workday. Before we get into the longer shifts, there are a few principles of California meal and break requirements to understand. Under California’s meal and break laws, employees working at least five hours are entitled to a half hour meal break and one ten-minute rest break. These breaks must be taken separately; that is, an employer can’t provide the worker with one 40 -minute break). In addition, each break must be contiguous; meaning an employer can’t provide a 20-minute lunch break and second 10-minute rest break. Last, the law places restrictions on the spacing of the meal and rest breaks so they aren’t too early or late in a shift, or all too closely grouped together. Now, back to the 10 and 12 hours shifts. Take the meal and rest breaks requirements outlined above and double them – at least. According to California labor law, employees working 10 and 12-hours shifts are entitled to one or two more rest breaks and one more meal break. Here’s the next wrinkle – the ability of healthcare workers to waive their right to second meal breaks on extended shifts has recently been confirmed. 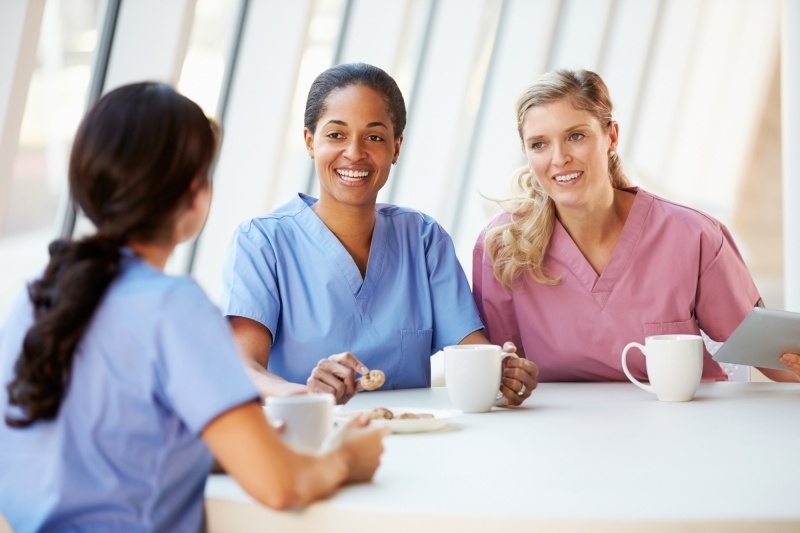 So, what’s a healthcare employer to do? Make managers accountable for their team’s meal and break compliance – but give them the tools to manage it. Start developing a clear policy regarding when and how meal and rest breaks are scheduled, what’s required, and what can be allowed. Then spend time educating managers as to both California law and the employer’s specific policies and procedures to ensure compliance. Use of automated scheduling tools that can apply business rules that reflect California state law requirements. An automated scheduling tool can ensure that the sufficient number of breaks are scheduled based on shift length, and at the appropriate times. 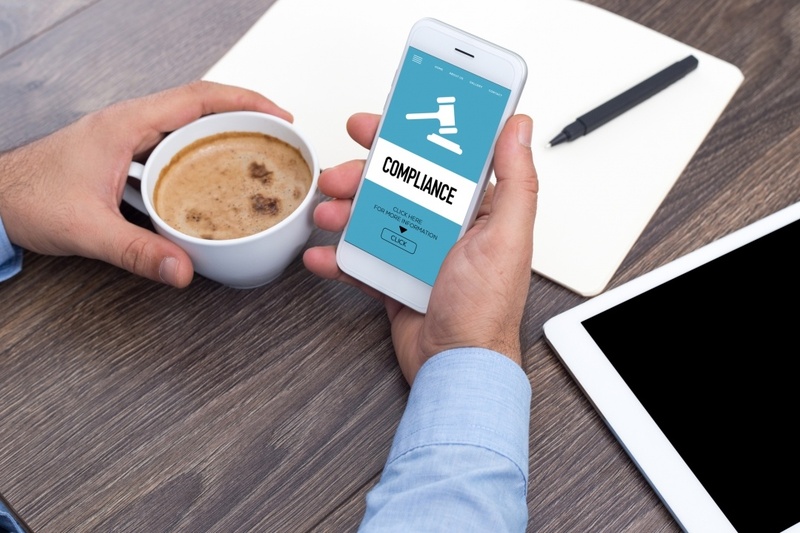 An employer can’t ensure compliance without a baseline of proper scheduling. Collecting time-in-and-out data for each employee in real time, so managers can address missed breaks or meals within the shift itself. Require employees to clock in and out at a time clock terminal for each break and meal, as well as when they arrive on shift. With the proper time clock integration, the terminal can send back employee punch data back to a provider’s back-end system multiple times per hour. Sharing employee break information this often during the actual shift lets managers see, during the shift, when to send people on break because they missed a scheduled break. California can impose stiff fines, not to mention ordering back pay for missed meal and rest breaks. Since healthcare employers can assume that workers will miss rest and meal breaks in their hectic environment, empowering managers to mitigate the impact of missed breaks in real time can be invaluable. Don’t confuse the law’s permission for employees and employers to agree to waive a second meal break to mean that employers aren’t the responsible party for showing that employees voluntarily waived that right. Furthermore, such waiver can’t be overused, otherwise it begins to appear as an unofficial policy. The law provides some flexibility for the healthcare industry compliance, but we’re not lawyers and any healthcare employer should consult their attorneys for specific guidance. As a general matter – healthcare employers can draft agreements with employees to provide “on-duty” meals (meal breaks when the employee is available in an emergency) and other workarounds to account for missed second meals on a long shift. Regardless of the waiver policies or agreements implemented, collecting contemporaneous evidence from employees that they’ve received their breaks or waived a break in compliance with the law and agreement is critical to protecting employers from future liability. Certain time clocks can collect needed attestations from employees right as they’re clocking back in from a break or at the end of a shift. For example, the time clock can present language asking an employee to attest that they took all their breaks that shift or that their managers didn’t ask them to miss any break time. The specific language of the attestation can be customized to reflect a specific employer’s policies. The important point is that a time clock with attestation functionality is an employer’s best means of collecting contemporaneous evidence of meal and rest break law compliance. Talk to one of our time clock solution consultants today to learn how you can use time clocks to ensure healthcare compliance with your local meal and break laws.